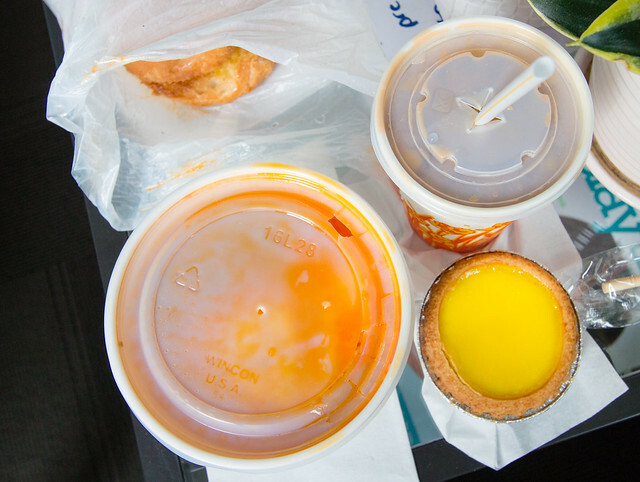 Hong Kong has an abundance of tea cafés or Cha Chaan Tengs offering quick, affordable Hong Kong style fast food notorious for terrible customer service. 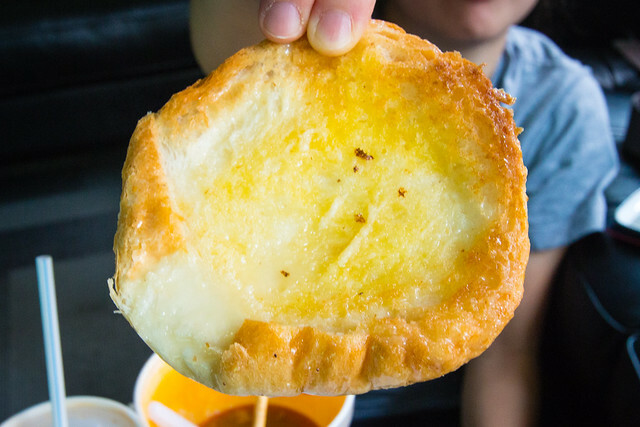 If you’re unfamiliar with the concept of a Cha Chaan Teng, just picture an old school Chinese style diner with unfriendly waiters serving Hong Kong’s own versions of unhealthy, convenient fast food such as noodles, sandwiches, French toast, and even curry. Regardless of how unhealthy and terrible the service of Cha Chaan Tengs may be, people can’t stop, won’t stop. Locals just seem to value fast service and affordable prices above all. I went with a friend’s coworker to grab late lunch / afternoon tea at Lan Fong Yuen’s original location in Central. 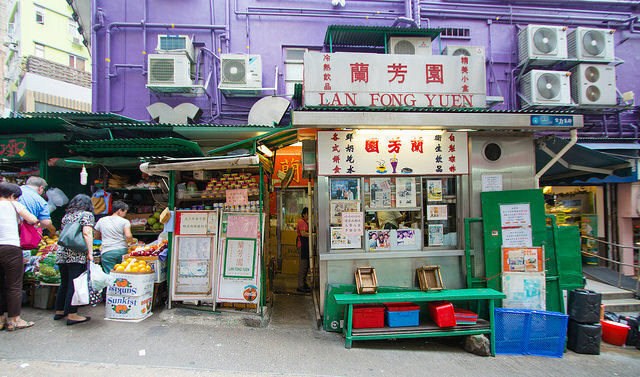 This location is a hole-in-the-wall; the narrow entrance is in between Lan Fong Yuen’s storefront stand and a grocer. 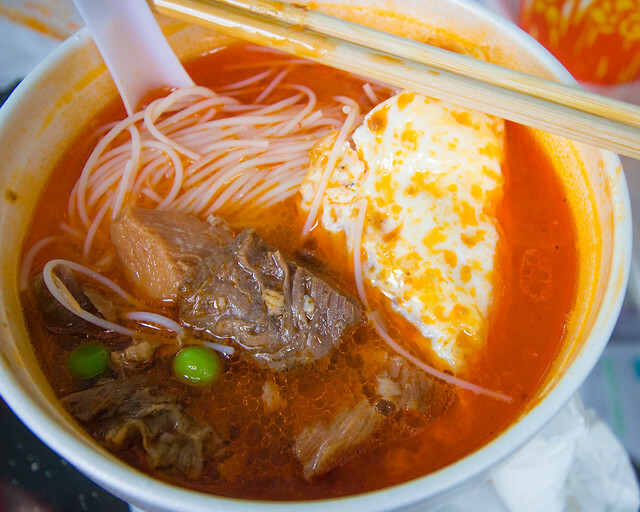 If you’re doing takeaway (take-out / to-go), orders are placed at the stand through a narrow window. If you’re dining in, proceed through the narrow walkway to a small dining room crowded with tables and stools. We did a takeaway with an afternoon tea set that included iced stocking milk tea ($34 HKD), and crispy buns ($14 HKD). The crispy buns and stocking milk tea are both included in breakfast sets which is sold at 7:30-11:00am daily and priced at $29-33 HKD.